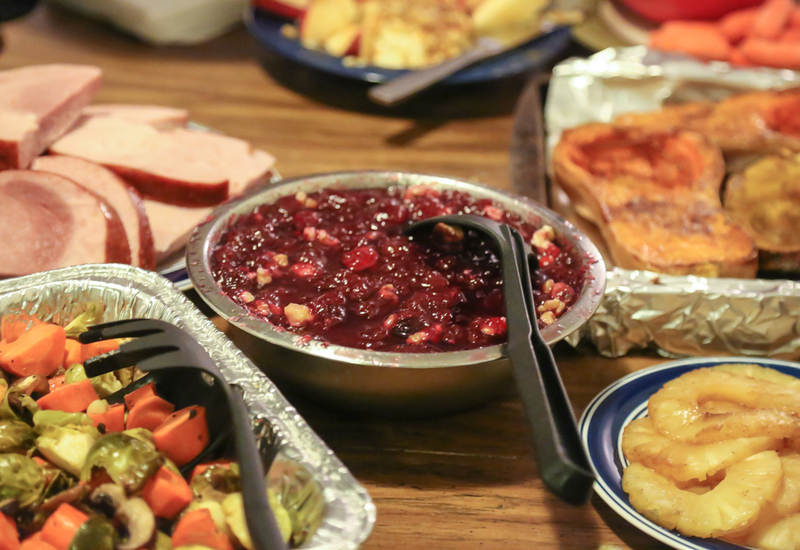 Students Share Their Thoughts on Thanksgiving Food | Grand Central Magazine | Your Campus. Your Story. The time is quickly approaching for Central Michigan University students to go home to their friends and families for the long Thanksgiving weekend. Around Thanksgiving, many people say that they are thankful for their friends and family. They may say that they are thankful for their dogs or cats, and they may even add in that they are thankful for what they have. But what is the CMU community most excited for? When students and staff around campus were asked this question, the most common reply – beside being with loved ones – was food. Some students can’t wait to be home in time for that one food that has been in the family from generation to generation. They love the tradition around each food. Students went so far as to say how they arrange the food on their plates. Some like to grab as much food as they can and pile it all on top of one another, not caring if they mix at all. Others like to organize their food neatly so that it doesn’t touch, and so that they get to enjoy every taste of Thanksgiving. Freshman Lauren Hager said that the look of the plate has nothing to do with it. “It’s all about the food,” Hager said. “I don’t care whether it’s a paper plate, china or a napkin; how the food tastes means everything”. Among the top favorite Thanksgiving foods was turkey, mashed potatoes, stuffing and dessert in general. Freshman Jamison Cleaver says that he can’t choose his favorite. “Picking one is way too hard – deep fried turkey, mashed potatoes or cheesy potatoes are definitely among my top favorites, though,” he said. Some students were adamant about who makes which part of the meal whether that be mom, dad, aunt, uncle, grandma, grandpa or anyone else in the family. Freshman Jackson Morin was a little more specific. When you finally sit down at the table after creating your perfect Thanksgiving plate, remember to give thanks for all that you have. Remember to thank the people who made this holiday so great. Most important of all, don’t forget to finish off your meal with your favorite Thanksgiving dessert with the ones you love. Separator image Posted in College Living, Student Lifestyle, Students and tagged with Central Michigan University, Food, Krystal Black, student life, Student Lifestyle, Thankful, Thanksgiving.